This lovely 9-bamboo water fountain with red wheel is the feng shui enhancer to increase future prosperity and wealth. When it is pluged it, water will be pumped to the top of the bamboo pile, them one by one flow to the red wheel to make the wheel running. 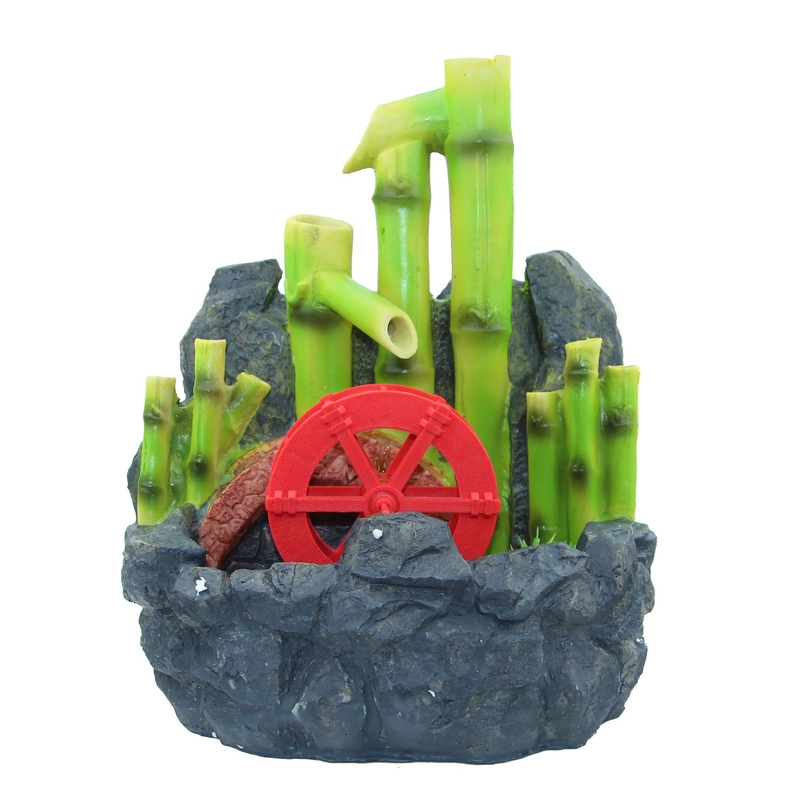 The bamboo water fountain is made of resin. The dimension of this feng shui fountain is approx. 10" x 7 1/2" x 11 1/2".